This page contains Photo Editing Software and Resources. Professional & creative photo restoration services for business, companies, and individuals! Automation makes photo and video editing easy. Your creativity makes it amazing. Great for Beginners, Hobbyists & Students Do your best work with a comprehensive set of tools for graphics, layout, illustration, tracing, photo editing, web images and art. Whatever your creative passions, CorelDRAW Home & Student Suite 2018 is perfect for all levels of design experience. Get Started Quickly Get a head start on your first project with versatile in-product learning resources, a user-friendly Quick Start Guide and extensive design assets including high-quality clipart and photos, fonts, fills and templates. Versatile New Design Features Enjoy new features including the ability to apply envelopes to bitmaps, adjust photo perspective and straighten photos interactively, and publish directly to WordPress. Easily align and distribute nodes, add perspective effects, and utilize precise layout and drawing tools with multi-monitor, 4K Real-Time Stylus support. Tap Into an Intuitive Workflow Find everything you need, where and when you need it. A fully customizable interface lets you match your workspace to the way you work. Access thousands of royalty-free, high quality pieces of content, special effects for advanced photo editing, web graphics tools and more! SYSTEM REQUIREMENTS [Windows 10, 8.1 or Windows 7, in 32-bit or 64-bit, all with latest updates and service packs] [Intel Core i3/5/7 or AMD Athlon 64] [2 GB RAM] [1 GB hard disk space] [Multi-touch screen, mouse or tablet] [1280 x 720 screen resolution at 100% (96 dpi)] [Microsoft Internet Explorer 11 or higher] [Microsoft .NET Framework 4.6] [DVD drive optional (for box installation)] [An authenticated version of CorelDRAW Home & Student Suite 2018 and Internet connection are required to access some of the included software components, online content and features.] Order now and unleash your creative potential with CorelDRAW Home & Student 2018! Don't miss a moment - a new 360˚ viewing mode lets you See every angle simultaneously. Perfect for watching 360˚ content on a computer or TV screen! PowerDVD plays more than just DVD and Blu-ray discs. 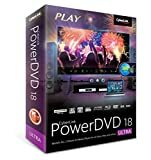 For video, audio, photos, vr 360˚ content and even YouTube or Vimeo, PowerDVD is your essential media entertainment companion. Unlock the potential of your Ultra HD hdr TV and surround sound system, immerse yourself in virtual worlds with access to ever growing collections of 360˚ videos, or simply unwind wherever you are with unrivaled playback support and unique enhancements on your PC or laptop. The top choice in painting software by artists worldwide! Achieve painting perfection with the most realistic and professional digital art studio. 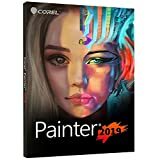 Painter 2019 offers Natural-Media and unlimited art materials to delight any illustrator, photographer or fine artist. Whether transitioning from traditional art to digital art software, or painting solely in the digital world, Painter will exceed your expectations. We rely on an advisory council of diverse artists to ensure that we meticulously emulate a traditional experience and surpass the needs of illustrators, fine artists and photo artists. Launch a refreshing and transformed user interface to reveal a darker theme, allowing your painting process to take center stage. Thanks to enhanced support for multi-core processors and CPUs that use AVX2 extensions and extensive code optimizations, this is the fastest version of Painter yet. Windows multi-touch pan, zoom and rotate is a breeze. Wacom tablet painting and navigating is a dream. And we’ll support your .PSD files. Imagine kicking off your creative exploration with over 900 inspiring brushes. Our latest version includes 36 NEW and diverse brushes plus the world’s most realistic Natural-Media and exclusive Particles, Pattern Pens, Thick Paint brushes and so much more! Ensure your final artwork is picture-perfect by using Painter’s versatile Divine Proportion, Rule of Thirds, Perspective Guides, Professional Photo-Painting tools, Textures, Gradients, Selections and in-app learning to quickly guide you through to your final masterpiece. 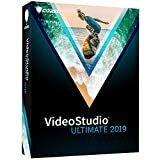 Deliver beyond expectations with the power of video Studio Ultimate 2019. Build, edit, and correct video skillfully with quality tools. Explore 2, 000+ filters, titles, effects and new seamless transitions. Ultimate includes Premium effects from newbluefx, ProDAD and Boris FX. Play with speed, edit 360 video, and Stabilize footage. Other Ultimate exclusives include: new dynamic split screen videos, color grading controls, and custom text masks. Develop your skills with our learning resources and improve your productions. Live life, create Memories, and let video Studio Ultimate help tell your story! 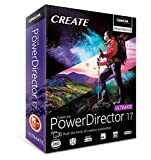 Take your video editing skills to the next level with PowerDirector - the fastest and most capable editing software to date. With a range of professional-grade tools built specifically for flawless precision editing, you can turn any footage into high-quality productions with minimal effort. Whether you're an experienced user or trying out video editing for the first time, power Director is the definitive video editing solution. The most cost-effective solution for aspiring creators. 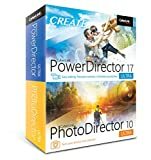 It includes both the award-winning PowerDirector & PhotoDirector, offering the most complete, value for money video and photo editing solution for users of all levels. With round-trip editing support between both applications, you can work seamlessly on video and photo projects in a highly efficient creative environment. FotoWorks XL 2019 holds for the user all the functions for photo edit we know of successful photo editing software series. FotoWorks XL is a powerful photo editing program or image editor that is intuitive to use, despite a variety of options and tools without training period. The picture editor is aimed at users who want for example, edit photos, enhance photos, rotate, crop, or want to use numerous other effects. Texts, clipart, icons or other images can be included in photos with the image editor. Whether a photo collage to be created or an entire folder reduced images in batch mode, automatically improves or to be converted to black / white, the photo editing software combines image manipulations with advanced features such as preset effects, light reflection effects, sharpener / blur, masks and textures. The photo editing software is completed with a printing studio for photo albums, calendars or posters.